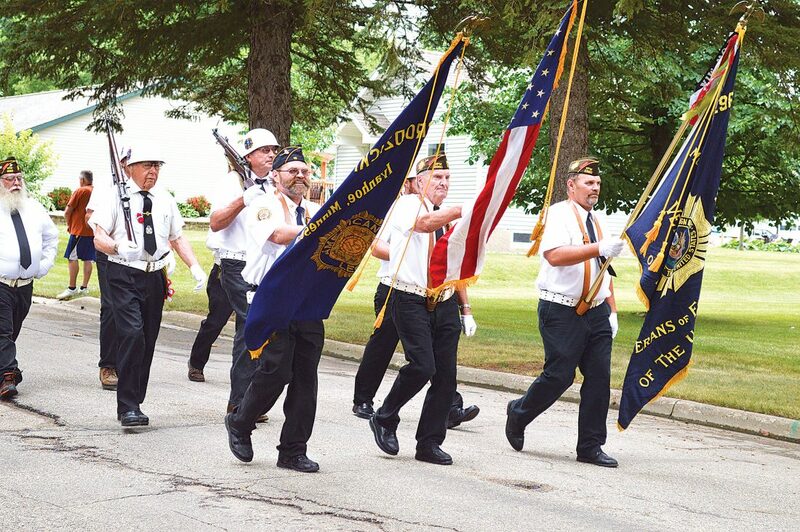 Independent file photo Ivanhoe American Legion members march near the front of the Polish Days parade in August 2014. As The American Legion celebrates its 100th anniversary, there’s an opportunity to reflect on its past, evaluate its current status and look into its future. Legion history reveals that the organization’s service to community, state and nation was initiated when members of the American Expeditionary Force convened at a caucus on March 15-17, 1919, in Paris, France. At a May caucus in St. Louis, Missouri, The American Legion was chosen from a list of 12 nominations as the group’s official name. On Sept. 16, 1919, Congress chartered The American Legion as a patriotic veterans organization. The first Legion convention then convened in November in Minneapolis, where its Constitution and preamble were adopted. A century ago, community posts quickly started popping up across the country and around the globe — roughly 5,400 posts opened in 1919 and continue to operate yet today. The American Legion is the largest organization and advocacy group in the country for war-time service veterans — with roughly 2 million members and more than 13,000 different posts. The posts are organized into 55 departments — one for each of the 50 states, along with the District of Columbia, Puerto Rico, France, Mexico and the Philippines. In Minnesota, there are currently 70,000 American Legion members enrolled in nearly 540 posts. And each of those posts has their own story. Versaevel said he’s been a Legion member for about 30 years and that the Marshall post currently has roughly 300 members. 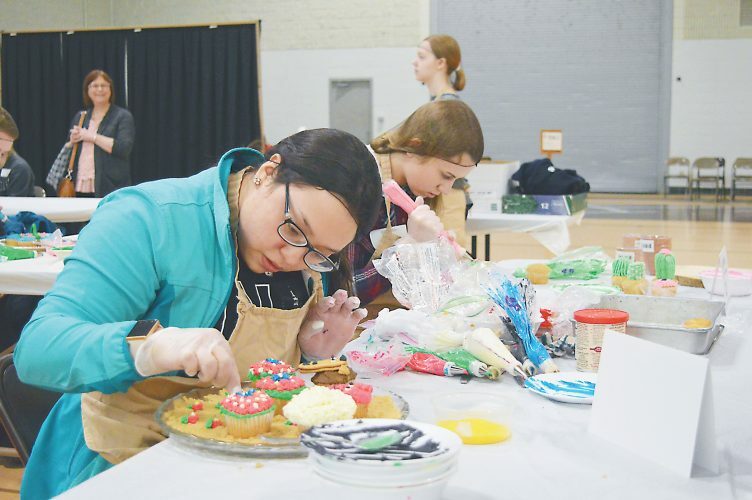 Along with a focus on camaraderie and service to others, Versaevel said financial contributions toward a variety of veteran-focused efforts has always been a priority at the local level. American Legion members are also represented at military member funerals and at several annual observations such as Memorial Day and Veterans Day. 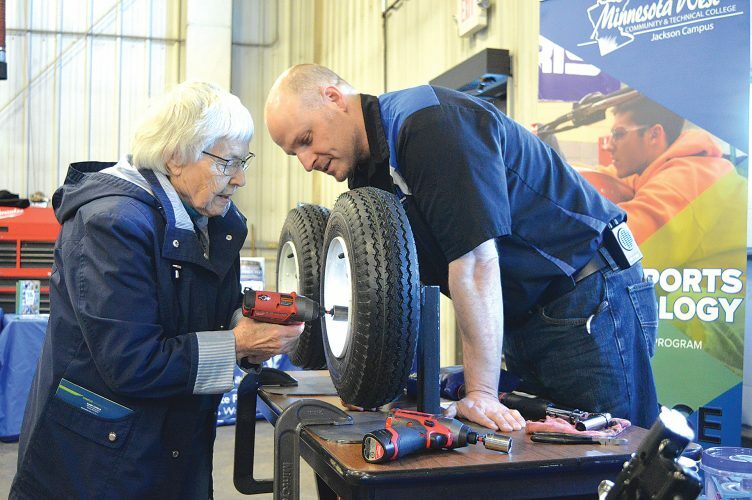 Oftentimes, they work alongside Legion-affiliated groups such as Sons of the American Legion, American Legion Auxiliary or Legion Riders in addition to Veterans of Foreign Wars (VFW) and other veteran organization members. Like most Legion posts, Pagel said Slayton also devotes time to thanking veterans for their service and honoring those who died while serving in the U.S. military. “We honor our fallen comrades by providing the military honors,” Pagel said. Some of the nationwide achievements the Legion has been instrumental in during the past century include: the creation of the U.S. Department of Veterans Affairs, the establishment of the G.I Bill, the enactment of the Agent Orange Act of 1991, veterans preference — basically the practice in which the federal government grants military veterans preference in job searches and the recruitment process, the establishment of veterans committees in both the U.S. Senate and House of Representatives as well as the establishment, in part, of the Tomb of the Unknown Soldier at Arlington Cemetery. While it would be impossible to tally all the hours that present and former Legion members have put in over the years, there are tremendous numbers of legacies left behind as inspiration for the next generation of Legionnaires. For example, the late Cy Molitor, a former Post 113 commander, did everything he could to document history — whether it was researching genealogy, developing a local obituary database or writing the history of Minnesota Boys State — and encourage the next generation of leadership. The organization’s longevity has relied on people like that. While its sponsorship of American Legion baseball, scholarships and scouting are more well-known, Legion also supports the blood program, brain science, bowling, a deer hunt, emergency fund, a turkey hunt, armed forces services center and so much more. Pagel said District 2, which includes Post 64, encompasses Legion posts from 13 counties. As first-vice commander, he is currently in line to serve as the District 2 commander in the near future. 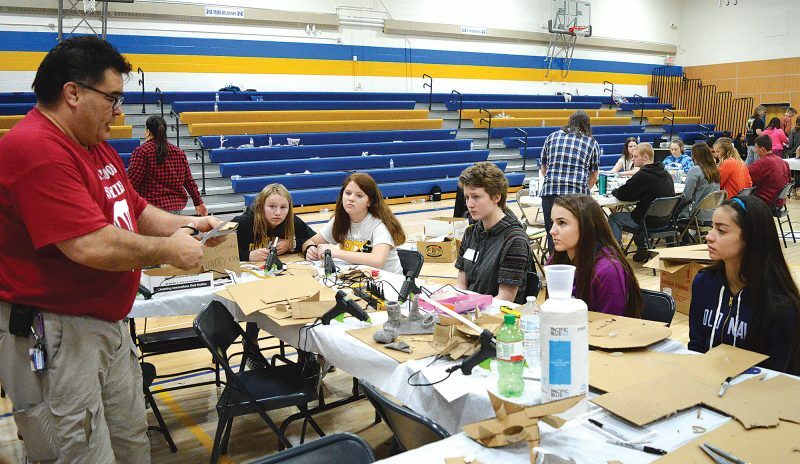 “I’ve learned so much and continue to do so the longer I’m involved,” Pagel said. In August 2015, the 65-member Slayton Legion post spearheaded a project to pay tribute to past, present and future servicemen and servicewomen throughout the county, but especially to those with ties to Murray County. The Murray County Veterans Memorial features eight life-size statues and a main memorial connected by a single path. Pagel wishes he would’ve become a Legion member many years ago — he served in the Army from July 1987 to August 1991 — but he’s passionate about making up for lost time. On Wednesday, Pagel traveled to St. Paul to take part in Veterans Day on the Hill. Pagel also attended a roundtable event with Congressman Collin Peterson on Monday. While there are many veteran-related issues to monitor, maintain or advocate for — including the high number of veteran suicides –a bill expanding Legion membership was recently been introduced to the House and Senate. It’s called the Let Everyone Get Involved in Opportunities for National Service Act. Looking to the future, membership is critical. Serving as national commander during the centennial year, Brett Reistad is leading a “Team 100” movement into the second century — one with renewed dedication for membership, including past, present and future ones. New American Legion members are especially needed to step into the roles previously held by those volunteering their time and efforts several decades ago.